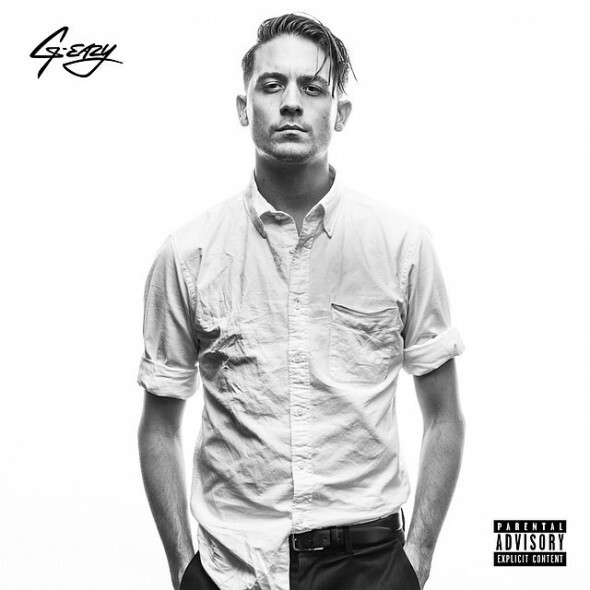 As far as the beats go, G-Eazy and Christoph Andersson are the main producers for this album and they show their adaptability by being able to create bangers for the club, as well as chill and melodic beats for anyone who feels the need to kick back and listen to some ill rap tunes. They use a wide array of synthesizers, smooth drumbeats, and other instruments that lend to the greatness of the album, such as the guitar riff on Remember You. The mood of the album changes from a party atmosphere at the beginning to more of a focus on ruined relationships and his affairs with women towards the tail end of the project. These Things Happen is impressive mainly because of the versatility that is revealed by the Bay Area emcee and producer. G-Eazy is only 25 years old, so you can be sure that there will be much more music in the future. He doesn’t seem to be the short-term type of rapper who’s only around for a few hits. G-Eazy may be here for a while. Lyrically, G-Eazy is very talented and his flow is definitely nice. His punchline-packed verses are sure to keep you listening intently to his rhymes and metaphors. Throughout the album, G-Eazy does not disappoint when it comes to his lyrical skills that he has clearly been perfecting over the years. Some of the most notable tracks are Far Alone, which features the famous Bay Area rapper E-40 with a great verse, although G-Eazy still holds his own with the veteran emcee. There’s also I Mean It, which is one of G-Eazy’s club-type bangers. In the song Lotta That, another upbeat party song, G-Eazy puts it plainly; “Still going dumb cause I know where I’m from/Rep where I speak that Bay Area tongue.” On Been On, G-Eazy makes the argument that despite many people’s opinions, he is and has been way ahead of the game for a while now, and Opportunity Cost is a very reflective track in which G-Eazy contemplates the negative aspects of his elevated status and rockstar lifestyle. This type of honesty is something we don’t see very often in the rap game. I think it’s interesting when he makes the comment that, “Right now my vibe so alive so please when we smoke just hush/Me and some of those who’s closest to me haven’t spoken much/Crazy when you learn the cost of blowin’ up/…was it worth it?” He also says, “Missing every birthday, anniversary/Yesterday my moms got out of surgery/Wasn’t even in town/Shows and after parties all I been round.” I think this type of contemplation is important and it distinguishes G-Eazy from other emcees. My personal favorites on this album are I Mean It, Lotta That, and Opportunity Cost. However, it is hard to single out certain songs when the majority of this album is so solid.